Eyevage is a product that specifically designed to care for skin around the eyes and is manufactured by the company Solvaderm and sold online through their official website. Eyevage contains a long list of beneficial ingredients that help improve the skin around the eyes in a number of ways. Juvabrite is a product that is made by the company Solvaderm which targets age spots and skin discoloration. 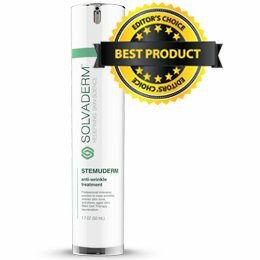 Solvaderm a reputable manufacturer that produces a number of high quality, professional skincare treatments, all of which are available from their official website. Dermpura is an all-in-one skin balancing and repairing cleanser infused with natural botanical oils and nourishing vitamins and is manufactured by the company Solvaderm and sold online through their official website. This hydrating cream with SPF-30 is fast absorbing, providing a protective barrier against photo-aging and the sun's harmful rays. Also provides an excellent makeup base that is non-greasy. 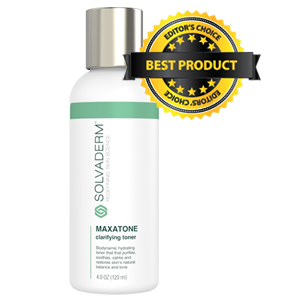 This product is manufactured by the company Solvaderm and sold online through their official website. Zeroblem is a dermatologist-developed spot treatment designed to clear up breakouts quickly by intensively targeting and healing unsightly, sore blemishes and is manufactured by the company Solvaderm and sold online through their official website. Rejuvoderm is a revitalizing and clarifying cleanser developed by dermatologists to address the specific needs of problematic, acne-prone, and oily skin and is manufactured by the company Solvaderm and sold online through their official website. 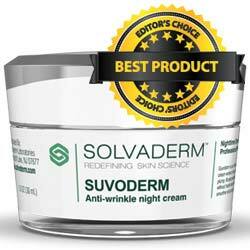 Suvoderm is a quick-absorbing blend of maximum strength ingredients that rescue and repair skin overnight for astonishing anti-aging effects and is manufactured by the company Solvaderm and sold online through their official website. ACE-Ferulic is a brand of anti-aging serum that is manufactured by the leading skincare company Solvaderm who have a commitment to producing cutting edge treatments that are used internationally.